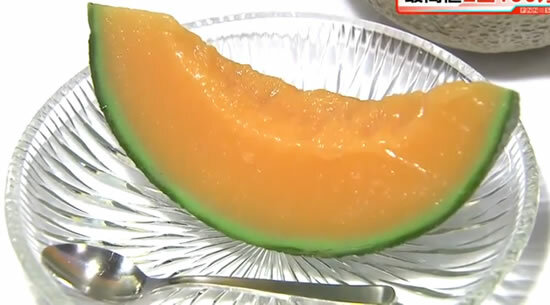 A pair of cantaloupe melons weighing 3.7 kilograms fetches $15,700 in Japan! A pair of cantaloupe melons sold at auction in Japan on Friday for 1.6 million yen ($15,730), one of the highest prices ever paid for the coveted orange-fleshed fruit. This is the third-highest price ever paid for the luxury melon brand in Japan. Yubari melons are considered a status symbol in Japan like a fine wine, with many buyers presenting them as a gift to friends and colleagues. The auction was held at the Sapporo Central Wholesale Market in northern Hokkaido. A local fruit wholesaler snapped up the 3.7-kilogramme Yubari melons at the high-end fruit and vegetable sale, which took place on the first day of the season for the prestigious melons. A pair was sold at auction for a record 2.5 million yen ($24750) in 2008. This record price was partially due to a degree of sympathy for the town of Yubari that produces the melons, which went bust in 2007. The best-quality Yubari melons are perfect spheres with a smooth, evenly patterned rind.